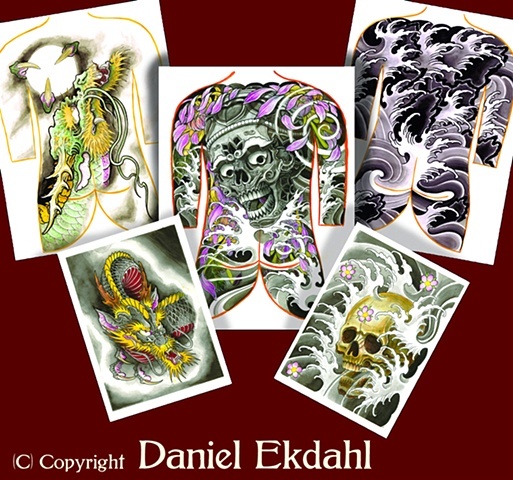 This is Daniel Ekdahl's first prints for sale since he started tattooing. The prints are sold as a set of five. the bodysuits are A3 - 11.7 × 16.5 inch and the 2 smaller is A4 8.3 × 11.7 inch. The price include shipping worldwide. A3 & A4 - 11.7 × 16.5 and 8.3 × 11.7.